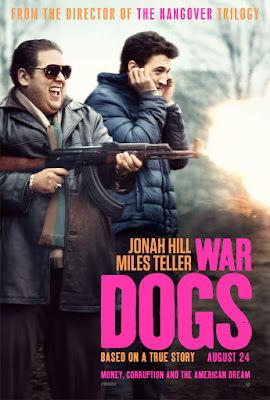 The new trailer from director Todd Phillips' (“The Hangover” trilogy) comedic drama “War Dogs,” starring Jonah Hill and Miles Teller has just been launched. The film also stars Ana de Armas (“Knock Knock”) and Oscar nominee Bradley Cooper. Opening across the Philippines on August 24, “War Dogs” is distributed worldwide by Warner Bros. Pictures, a Warner Bros. Entertainment Company.